The Turkish shooter won an exciting match, securing an Olympic Quota Place. Following him, a breathtaking four-way shoot-off decided the medals. Fairy Tail, second act. This could be the title of this story. 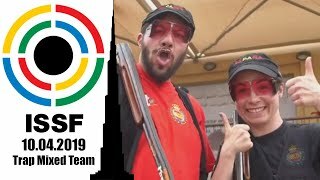 The story of Oguzhan Tuzun, the 27-year old Turkish shooter who won today’s Trap Men event at the ISSF Shotgun World Cup in Concepcion, Chile. Today, Tuzun proved it’s not a matter of luck. Making it into the final with the highest qualification score, 123 hits, he left few chances to his followers. After missing the very first final target, the Turkish shooter zeroed in, and cleared the following 22 clays. Around him, his opponents were missing a target after the other. So, even missing the last two clays, Tunzun climbed upon the highest step of the podium with a total score of 145 (123+22) hits. Next to the Gold medal (his second ISSF medal ever, following last year’s incredible World Cup Final’s Gold), Oguzhan brought back home an Olympic Quota place, qualifying for the next Olympics. With a total score of 143 (122+21) +9 hits, the Silver medal, and the second quota place, went to Russia, thanks to Pavel Gurkin, 45, who won a spine chilling four-way shoot-off. The Russian shooter met and beat some of the best shooters of the world to secure the Olympic Qualification. 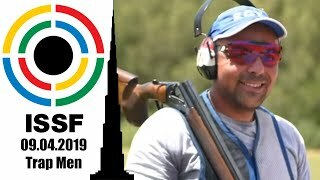 The first to leave the shoot-off was San Marino’s veteran Francesco Amici, who closed the match in fourth with a total score of 143 hits + 1 target in the shoot-off. Then it was the turn of the two-time Olympic Champion Michael Diamond of Australia, who also missed his second shoot-off target finishing in fifth with 143 +1 hits. With 143 targets, and 8 shoot-off hits, the Bronze medal went to Spain’s three-time World Cup medallist Jesus Serrano. 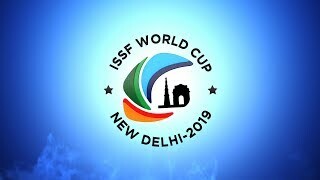 The match closed the 2011 ISSF World Cup Stage in Concepcion, which had kicked-off the 1st of March. After five final events, fifteen medals and ten Olympic Quota places awarded, the ISSF World Cup Series moves to Sydney. 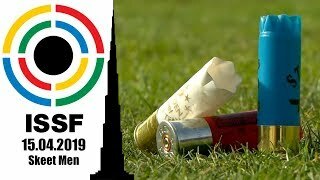 There, on the lines of the 2000 Olympic Shooting Range, the second ISSF WC Stage of the year will be held form the 21 of March to the 1 of April. 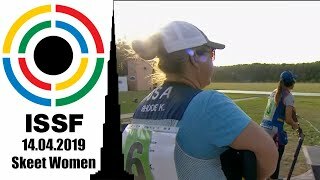 A competition which is announced to be massive, with shooters coming from all around the world to compete in Rifle, Pistol and Shotgun events at the same time.